Photographs, texts, slogans, drawings, images, animated sequences with sound or not and any works integrated into the website are the property of the company LE MORGANE or third parties that have authorised LE MORGANE to use them. Reproduction rights are reserved and strictly limited, including for documents that can be downloaded, and iconographic and photographic representations. All trademarks on this website are registered by the companies that own them. LE MORGANE declines all responsibility in the event of a delay in updating, or the interruption or unavailability of the service. LE MORGANE reserves the right to change the website’s content at any time and without prior notice. 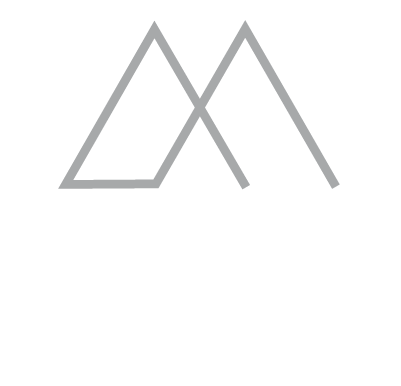 The user of the website https://morgane-hotel-chamonix.com.d-so-175369.4287-site-officiel.wpd.api-and-you.com/ acknowledges having the competence and means required for accessing and using this website. LE MORGANE may not be held liable for elements and events beyond its control concerning the use of the website and its effects on material and/or software incompatibilities and damages which may result from these on the user’s technical environment, in particular his/her computers, software, network equipment and any other equipment used to access or use the service and/or information. 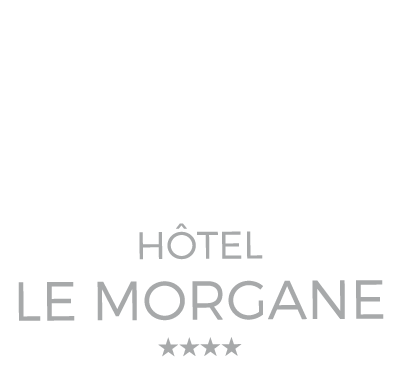 LE MORGANE declines any responsibility for the content of the websites proposed via links, regardless of the type of link from or to https://morgane-hotel-chamonix.com/. LE MORGANE reserves the right to oppose it being set up. In the frame of the use of its services and in particular the services accessible on its website, its mobile site, its online store and its mobile apps, LE MORGANE, as data processing manager, may collect and process your personal data. 7.1 – WHAT ARE OUR UNDERTAKINGS ON DATA PROTECTION? LE MORGANE undertakes to guarantee a high level of protection of the data of its customers, potential customers, website, mobile site, and online store, and mobile app users, and any other person for which it processes data. LE MORGANE implements the appropriate technical and organisational measures to guarantee a level of security that is adapted to the inherent risk of its processing operations, comply with regulatory requirements and protect the rights and data of the people concerned when designing processing operations. Furthermore, LE MORGANE contractually imposes the same level of protection of data protection on its sub-contractors (service providers, suppliers, etc.). 7.2 – WHAT DATA DO WE COLLECT? The personal data we collect varies according to the purpose of the collection and the Service we provide. LE MORGANE does not collect or process the data of children under 18 years without the prior consent of parents or persons with parental authority. 7.3 – HOW IS DATA COLLECTED? In order to constantly improve the quality of our services proposed on our website, mobile site, online store and mobile apps, and their suitability with your needs, LE MORGANE may use “cookies”, text files that serve to identify your terminal when you log in to one of our services. The deposit of cookies or tracers on your terminal (computer, tablet, smartphone, etc.) allows LE MORGANE to collect information and personal data according to how you configure your terminal. They allow you to use the main functions of the website, such as the purchase or reservation of services for example. If you deactivate cookies, you will no longer benefit from these functions. Performance cookies allow us to optimise our website and detect any technical problems that you may encounter. Our website contains links and/or content that transfer users to other websites and social media and we do not know what cookies are used by these. To find out more, please consult the information provided by these third-party websites and social media about their own cookies. We do not associate your cookies with any data that allows you to be identified directly and personally. Under no circumstances do cookies allow your address, date of birth, telephone number or any other information that can be used to identify you to be known. We do not provide any personal information to advertisers or third-party websites that display our advertisements based on your centres of interest. Our website, mobile site, online store and mobile apps may contain links redirecting users to third-party websites. We decline any responsibility for the collection, use, management sharing, or disclosure of data and information by these third-parties. 7.4 – FOR WHAT PURPOSE MIGHT THE DATA COLLECTED BE USED? 7.5 – HOW LONG IS YOUR DATA STORED? LE MORGANE undertakes to store your data for a period that does not exceed that required for the purposes for which they are processed. The storage periods are defined according to the processing purposes implemented by LE MORGANE and, in particular, take account of the legal provisions which apply imposing a precise storage period for certain categories of data, any limitation periods that apply, as well as the CNIL’s recommendations concerning certain categories of data processing. Data are usually stored for 3 years from the time you last contacted us. 7.6 – WHO IS LIKELY TO ACCESS YOUR DATA? The data collected on our website, mobile site, online store and mobile apps are likely to be communicated to our internal staff or to its ancillary service providers (sub-contractors, service providers, banks), in the frame of the completion of all or some of the services listed above. We remind you that in this context, LE MORGANE asks its providers to set up strict privacy and protection measures for this data. Data may be processed outside the European Economic Area (EEA). If this is the case, LE MORGANE will do everything to ensure that this international transfer of data benefits from the required level of security and guarantees. 7.7 – HOW DO YOU EXERCISE YOUR RIGHTS? You also have a right of appeal to the Commission Nationale de l’Informatique et des Libertés (French Data Protection Agency) in the event of a breach of the regulation that applies concerning the Data Protection and the GDPR in particular. Ensuring the security and confidentiality of personal data that you entrust to us is a priority for LE MORGANE. Thus, we implement all the technical and organisational measures needed concerning the nature, scope and context of the personal data that you communicate to us and the risks presented by their processing in order to preserve the security of your data and, in particular, prevent the destruction, loss, alteration, disclosure, intrusion or unauthorised access to it in an accidental or illicit manner. LE MORGANE does its utmost to combat identity theft on the Internet. That is why, for example, we use a detection system for fraudulent payments made by credit card. This system protects you in the case of the loss or theft of your credit card. LE MORGANE reserves the right to adapt the data protection policy. When we make substantial changes to this Declaration, we publish a link to the Declaration on the home page of our website. In accordance with L 156-1 of the Consumer Code (French law), and in the event of a dispute relating to these terms and conditions, customers are informed by LE MORGANE of the possibility of recourse to a conventional mediation procedure or to any alternative method of dispute settlement : MTV – MEDIATION TOURISME ET VOYAGE. Guests should first contact customer services of the hotel to attempt to resolve the dispute amicably. If no amicable settlement is reached within 60 days, guests can contact the Mediator for Travel and Tourism on the following website: www.mtv.travel.